Yes, unlike the 550/575 and earlier 12 cylinder Ferrari’s, the F12 sounds OK as standard. But it’s not perfect sounding; a) you have to drive it a bit aggressively to get any enjoyable exhaust-note experience at all and b) when the valves in the original exhaust DO finally open, you get a nice but fairly muted, muffled sound – it’s not bad but it could be fantastic. Another problem is the way the sound jumps from valves closed to open, which can give the impression to passers-by that you’re driving obnoxiously. The real point in all this is that Ferrari are still forced by new-car-noise-emissions regulations to keep the engine from releasing it’s full potential sound and when you DO let the engine off the leash, these newer V12’s in particular sound absolutely AMAZING. So what do you install? 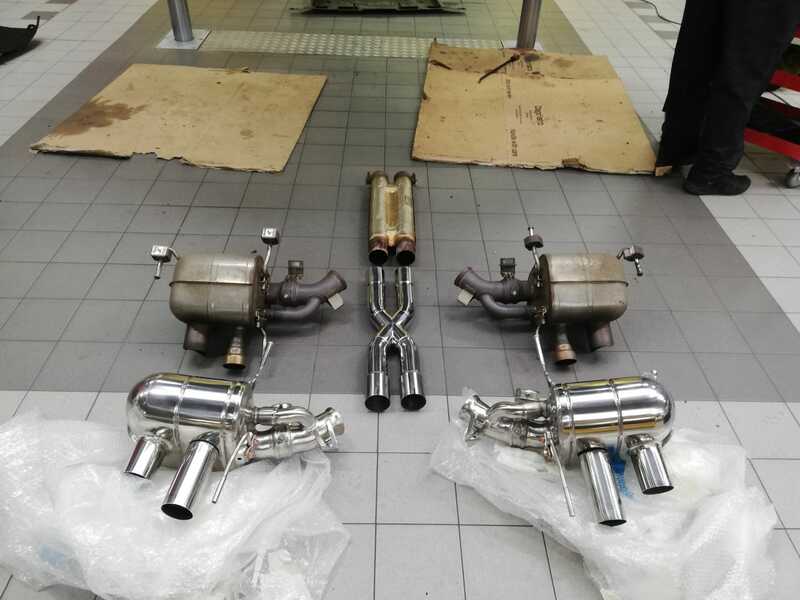 There are three parts to the 812/F12’s/FF exhaust. Rear silencers, Central exhaust section and Catalysts. Well unless you want something truly outrageous, leave the catalysts alone. 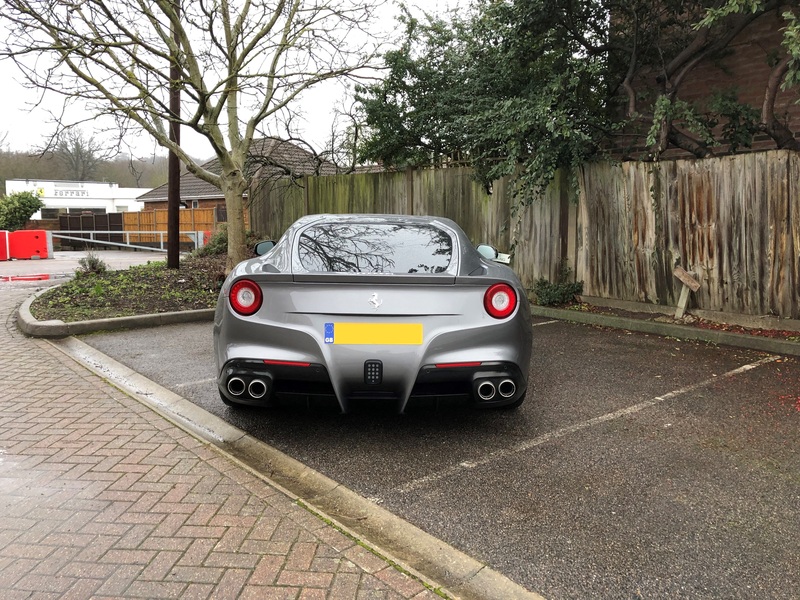 Instead all you need is i) a set of Novitec valved rear silencers, ii) an X pipe to delete the central exhaust section and blend gasses from both banks of the V12, and finally iii) a remote control unit to be able to switch the sound on and off whenever you want. This last component is critical as it allows you to open/close the valves up in the Novitec system at any point in the rev range and more importantly close them again at low rpm. This means you can bring the car back to a more discreet volume for long distance driving, and early starts, etc at any time, so the car sounds perfect for every occasion, and you don’t have to sacrifice any of the day-to-day usability with a louder exhaust – you get all the excitement but can always switch it off to silent. The result? Well listen to the difference between standard and Novitec sports exhaust for yourself.. It’s magnificent. Our videos to some extent don’t come close (we’re doing our best!). Your F12 has suddenly come alive – the exhaust note now builds in intensity, gradually and cleanly. All the while as the revs rise, the exhaust tone’s pitch is going up too so that by the time you reach 5000rpm the V12 is making a full-on 1990’s-F1-style sound all the way to the limiter. The difference over standard is huge. When you come off the throttle, the valves do NOT close (unlike the stock system) which means you get a linear winding-down of volume and sound and fantastic pops and crackles on the over-run, hearing every blip on the downshift – it almost sounds better off the throttle than on! Now there are many of owners who think fitment of a remote control on the stock system will do the same thing as the system above. Short story? It won’t. It’ll give you a touch more “noise” at low rpm – that’s it. The CRITICAL components in the setup above are those Novitec mufflers which through a combination of different silencing material, pipe diameter, resonation characteristics build and amplify the V12’s sound and give it THAT sound. The X-pipe adds more volume and lifts the pitch even further – the remote control gives you choice. 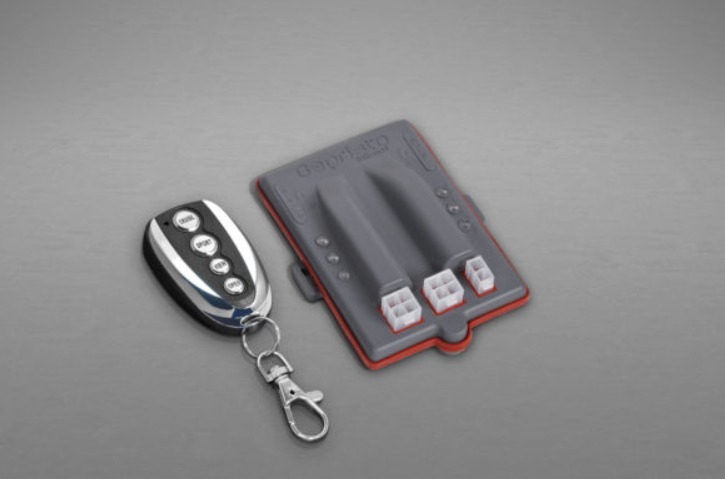 This is THE upgrade to fit your V12 Ferrari. Don’t worry that it’s excessive, it’s not – too noisy? Hit the button on the remote and switch it to “off” at any time. 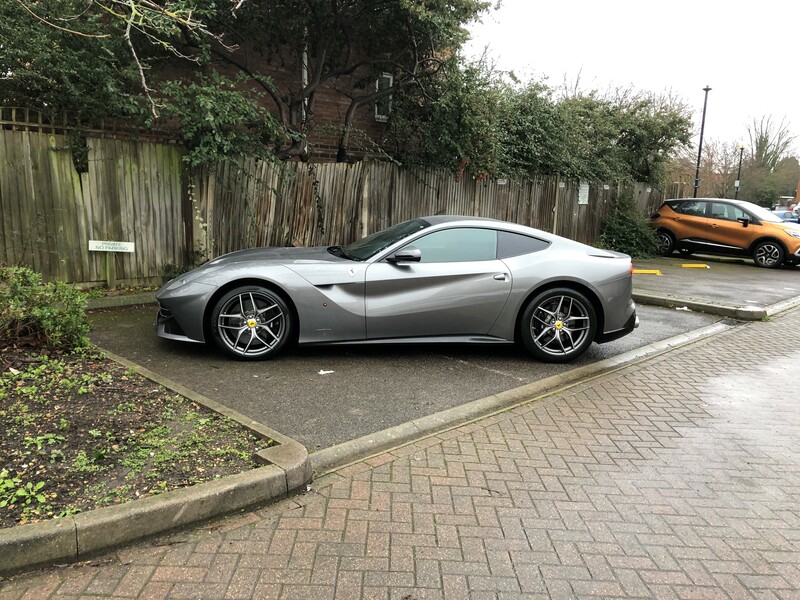 What it is, is transformative – the whole car just comes alive when you drive it now – it’s the best money you could ever spend your F12/FF/812. Do it. Running around on the standard exhaust? You have no idea what you’re missing!